I’ve been wanting a change with my hair for a while now, and after procrastinating for months, I decided to finally “ombre” or “dip-dye” my hair. The ombre hair trend has been really big these past couple of years among celebrities, bloggers, and well – what seems like everyone. It’s in fact so popular, that there are countless tutorials on blogs, Youtube, etc on how to achieve the look yourself with a couple simple tools. 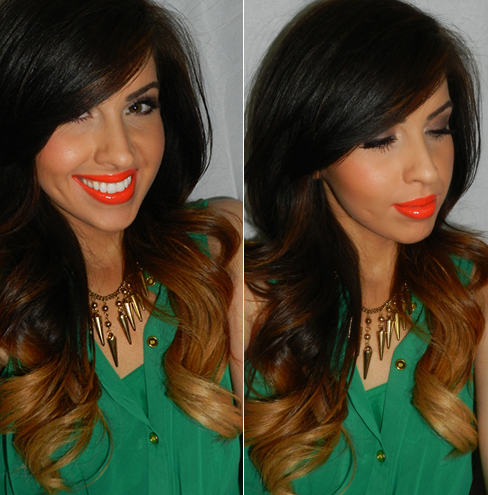 What does ombre mean? Ombre (a french word) specifically means “shadow” or “shade”. 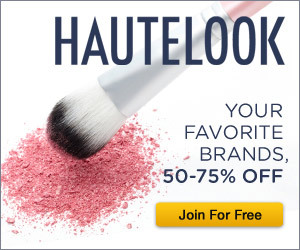 If you own a lot of French cosmetics, you may have spotted the word here and there – such as Chanel Ombre Essentielle Eyeshadow or the lovely Chanel Illusion D’Ombre Eyeshadows. When referring to clothing, hair, etc, it simply implies a “gradient”, a graduation of a color from light to dark, or vice-versa. 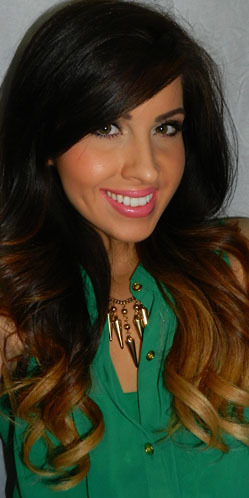 So it makes sense to name this hair trend “Ombre hair”, as it’s a gradient of hair color. Overall, I really like it, but I’d still like to make some minor changes. I’d like a little more blond, and possibly additional highlights throughout my hair to blend it all together. I’m going to let my hair breathe for a few weeks, and by that time, I’ll see what I’m going to do. In the meantime, I wrote out how I achieved this look to my hair, and provided the names of the products I used from Sally’s Beauty Supply. These are the products I used to achieve my hair color. They are all products I’ve used in the past, and have liked. I definitely recommend all of these products. Step 1 [using bleaching kit and foil] : Divide the powder bleach and developer included in the kit in half. I will be doing two applications of the bleach. Step 2: Since the bottom of the hair will be the lightest, decide how far up your hair you want the lightest shade to reach. (I covered roughly 4 inches of my ends) Divide your hair in sections. I divided all of my hair in six sections- three sections on each side of my head. Step 3: You can use a brush (included in kit) or your gloved hands to apply the bleach mixture to the ends. 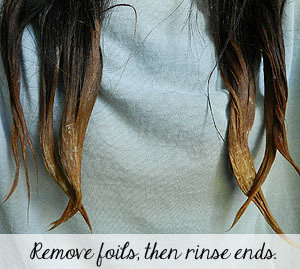 Cover the ends with bleach mixture. 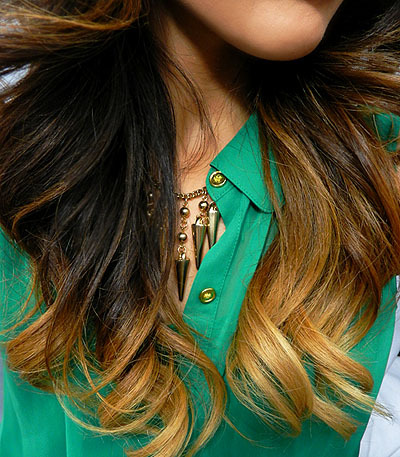 *They key to making the ombre look natural, is that you don’t want to apply the bleach in a precise line. Where the color ends, use the brush sideways and paint several small brush strokes, and then rub it in between your fingers, envisioning that you want the newly bleached hair to diffuse softly into your unbleached hair. You want a natural gradient. Apply the bleach to each strand of hair. Step 4: Then, wrap foil around the area where the bleach was applied. It’s not completely necessary, but it makes everything cleaner while you’re waiting for the bleach to process. It depends on the color of your hair for the time you need to keep the bleach in. Open the foil every now and then to check on the progess. Step 5: You should see subtle blonde tones before removing the foil completely. After around 25 minutes, I took the foils out and rinsed the ends. You may require more or less time. Step 6: After rinsing/washing your ends, blowdry (or air dry) the ends with low heat. Step 7: Now, repeat, but this time, we are going to apply the bleach higher up. I used my hands for this – I put some bleach mixture in my palm and rubbed it in my hands and applied it to my hair as if I was applying a finishing cream to my hair. Starting from the back of the middle of my head, I brought the product down my hair, very lightly coating each section. To further blend the product, comb through the hair with a brush/comb. Then, saturate the ends as done previously, and wrap the strands in foil again. I wanted to add a few lighter strands near the frame of my face, so with my hands, I grabbed a couple of strands that fall on the sides of my face and lightly coated them with the bleach mixture. I also pulled a couple strands through my bangs for color. Step 9: Wash your hair. Step 10: Mix equal parts of the semi-permanent dye with the Ion 20 Developer. Saturate your hair with the mixture, concentrating the product on your ends (the areas with the most yellow/orange-brassy tones). Leave it in for around 25 minutes. Step 11: Wash hair. I used Clairol Shimmer Lights Shampoo to further reduce brassy tones. Apply a deep conditioner, concentrating on the ends. I used a sample pack of One n Only Argan Oil Moisture Repair Conditioner and left it in my hair for about 10 minutes and rinsed with cool water. *As a disclaimer, I’m not a hair stylist, I just like to experiment a lot with my hair! If you’re interested in doing the same thing to your hair – do lots of research! Bleach is damaging to your hair, so you have to be very careful when using it on your own. Getting it professionally done is your best bet, unless you have experience with hair dye, etc. Thanks for reading, and I’ll talk to you all soon! Jewelmint Classic Cinema Bracelet Review! I can't believe you did this yourself, it looks so good! 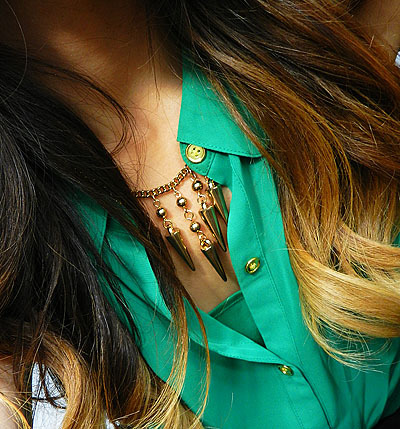 I really want to ombre my hair. I think it's a cute way to go lighter for summer without damaging your whole head from bleach. I'm going to show them this picture. Ohh yeah !! Its really nice one, but as we know already beauty products; specially Human hair extensions are for use of women's. Hair extensions are a simple means by which you can style your hair in a way that you have always wanted. With the assistance of Hair Pieces, you can easily transform your look. A large number of women in United States use hair extensions in their everyday lives. This is the reason a number of online portals are offering virgin human. 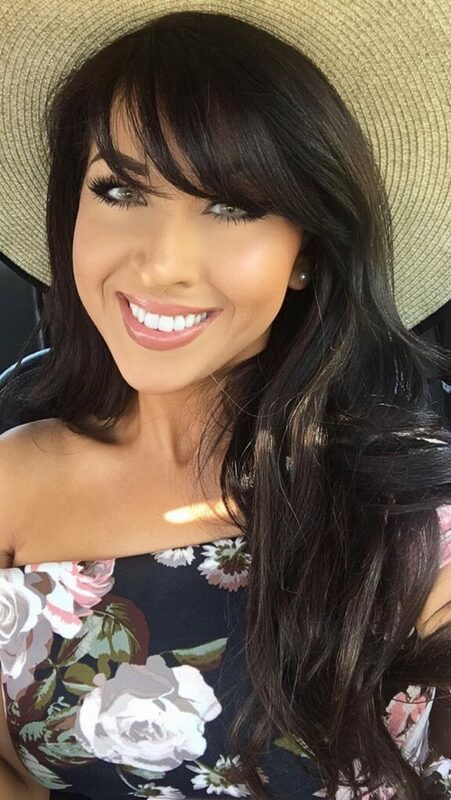 There are several types of Hair Pieces Extensions that you can use for styling your hair, but experts have recommended that human hair extensions are the best. Looking too pretty in this green Dress. Her brown hair gives a nice and gorgeous look to her Personality. Nice Informational blog post regarding the hair Loss Problems. I had lots of problem in finding great information for completing book so I saw this source and got so many special facts from here. What a post this is for hair surgery! I really see this site and hope there is the best information put on perfectly.Looking foreword for more brazilian hair bundle deals Our3 bundle deals come in lengths from 16 inches to 26 inches. Each bundle deal has 3 hair bundles. Great prices. Ships from the USA. Fabulous ideas you have still provided to us, anyway this blog is really wonderful for all. Awsome Look… Just loved the hair color. Really enjoyed reading your ombre process. Can’t wait to try it!